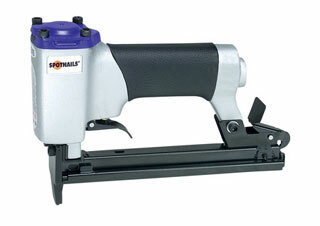 PRODUCT: Spotnails JS7116LN 3/8 Crown 71 Series LONG NOSE Upholstery Stapler, Pneumatic Drive. Drives 5/32 - 9/16 leg x 22 Gauge (0.030" series 71 staples), with Tool Case. Price/Each.